Fresh, homemade salsa is so much more tasty than store bought. So here’s the recipe I use!! You can freeze or can this salsa. 1. Chop into pieces (I like chopping because it’s thicker) or use food processor to dice tomatoes. Measure out 14 cups and put in big stock pot. 4. While tomatoes are simmering, chop other ingredients (you can put these in a food processor all together and dice). 5. Add all ingredients to tomatoes and bring back to boil. 6. Turn off and let cool if you’d like. Put in jars. 7. If you’d like a little added flavor then add a tsp of fajita seasoning (I don’t do this…I love the flavor). 7. 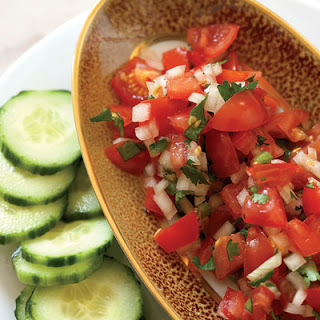 Enjoy this tasty salsa! *If you want chunkier salsa, chop into big pieces. 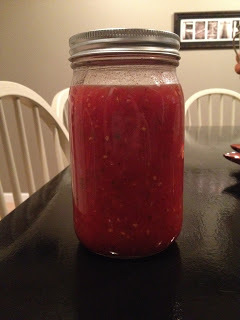 The original recipe has you strain the salsa at the end and it is less watery but it removes about half the amount you can put in jars and doesn’t have as much flavor. 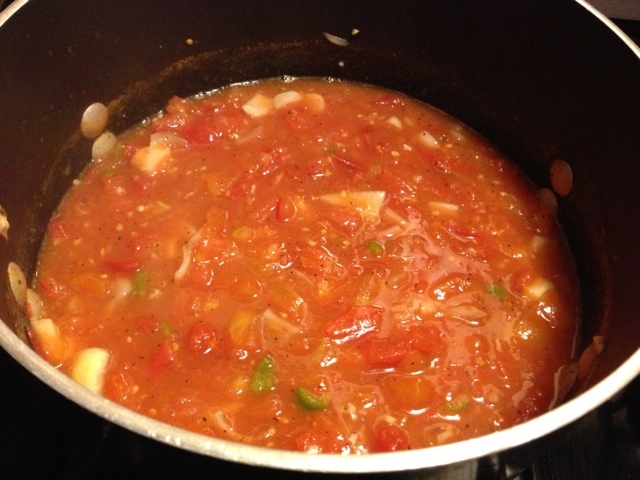 If you’d like it less watery then simmer longer to let water evaporate.